Things have changed in Port Huron since the time we entered PHHS in the Fall of 1957! Remember the jingle on WHLS and WTTH? ? 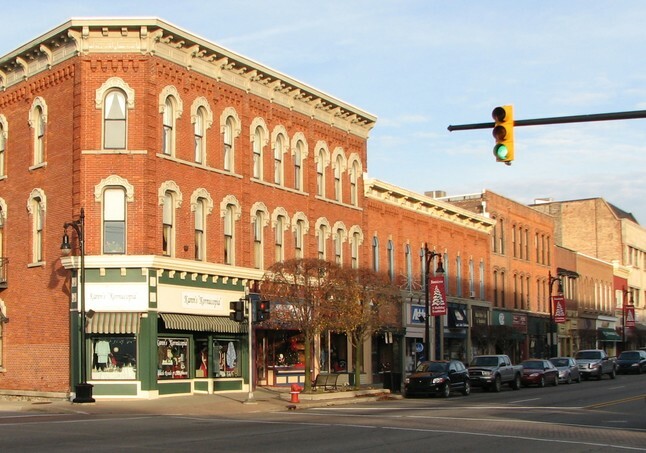 "Downtown Port Huron, Downtown Port Huron -- on either side of the bridge."? ABOVE: The west side of the 200 block of Huron Avenue north of the Black River bridge. Marx jewelers starts the block on the left. 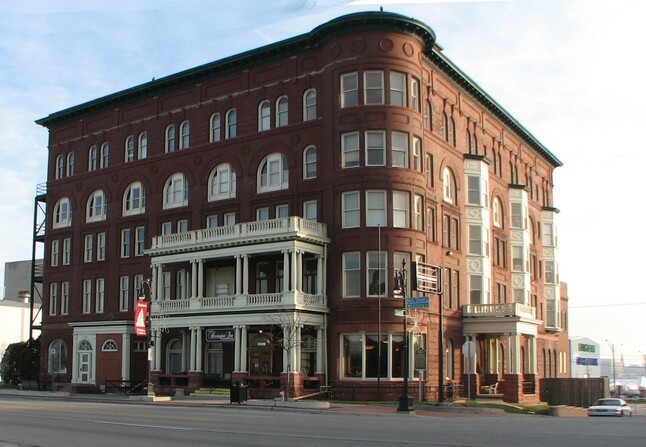 The four stores in the second group (with the second story windows) make up the "Stevens Block" built by Herman Leroy Stevens, attorney, and grandfather of classmate Allen Stevens. The family still owns the building. BELOW: Similar view of same block as it appeared December, 2009. ABOVE: The west side of the 200 block of Military Street south of the Military St. Bridge. People's Bank building is the six story building at the far right. 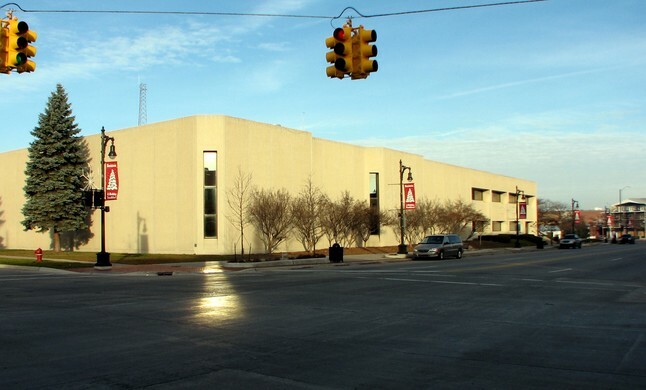 BELOW: The entire block is now occupied by the Gannett/ Times Herald offices and printing facility. 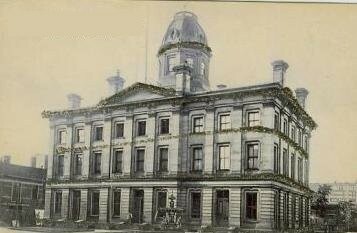 The Peoples Bank building was also demolished. The 500 Block of Water Street (south side). 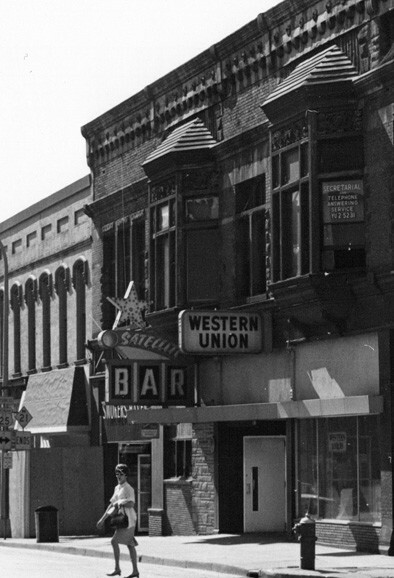 Barnett's Drugs, Satellite Bar, Western Union and Stephenson Electric. Ever get or send a telegram? 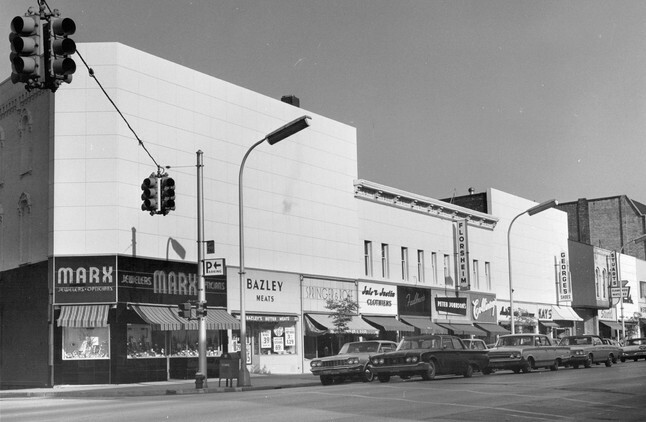 This block of buildings would have been at the far end of the Gannett/Times Herald building shown above. To the right of the Stephenson Electric was the alley and then the old Federal Building -- formerly the Port Huron Post Office. 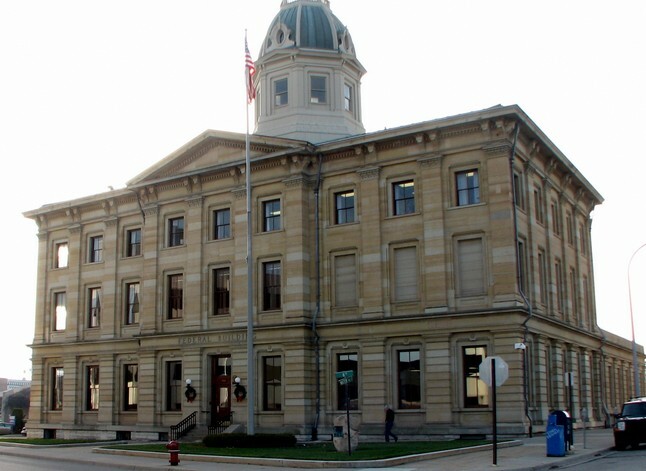 BELOW: Federal Building as it appears in 2009. 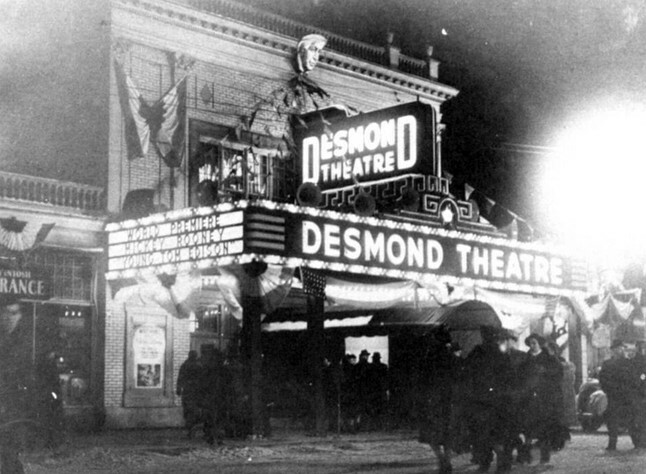 LEFT: The Desmond was drastically remodeled, splitting the single theatre into two screens and renaming it the "Huron". The big Hollywood guests including Louis B Mayer and Mickey Rooney stayed at the Harrington Hotel (right), site of a past Class of 1961 Reunion - and now a Senior Care Facility. LEFT: The Harrington as it appears in 2009. 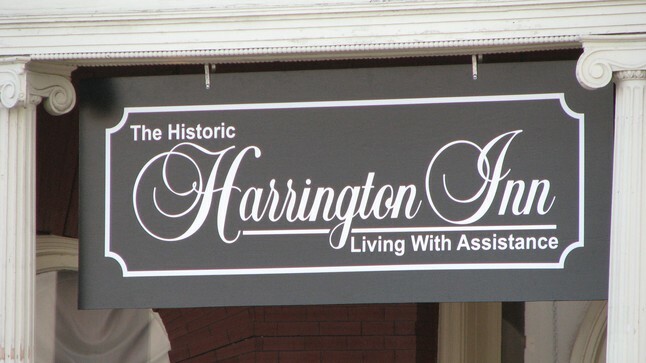 Today the Harrington is an assisted living facility. 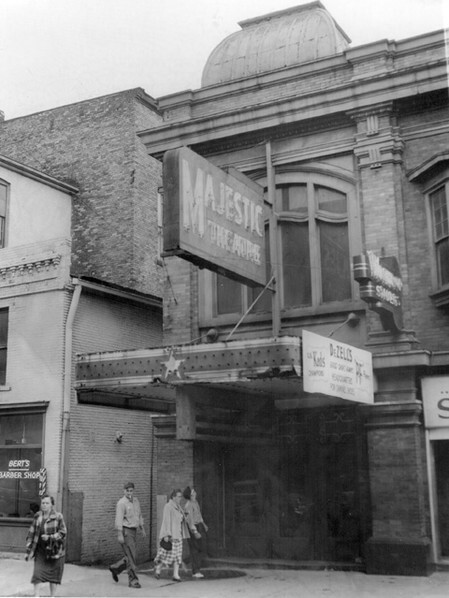 The Majestic Theatre in 1958, 500 block of Grand River Avenue, across from the south entrance to Sperry's. Bert's barber shop to the East. Cunningham's Drugs was on the corner. Detroit Edison's office was to the west; where you went to exchange your burned out bulbs for new ones -- no charge. 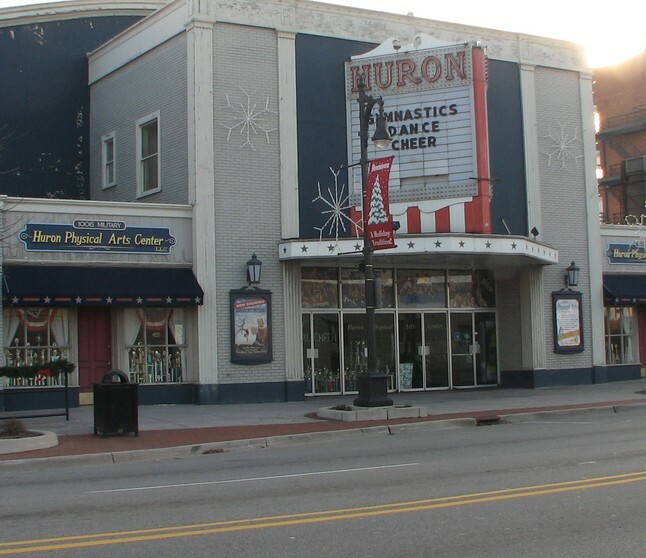 The Majestic was one of 7 theaters in Port Huron. Can you name the others? After the Majestic was torn down, the space became a parking lot - now known as the Majestic Lot. 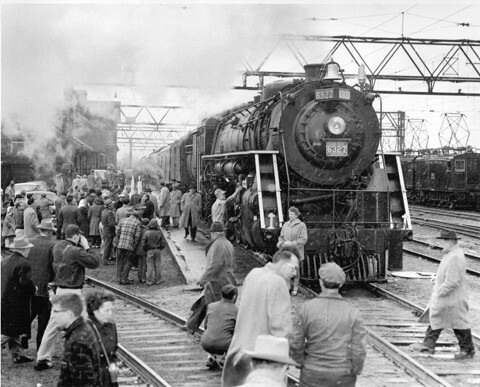 The last scheduled steam train out of Port Huron. Date unknown - but probably in the mid-late 1950's. Port Huron had regularly scheduled daily service to Detroit to the south and west to Flint-Lansing-Grand Rapids and Chicago. 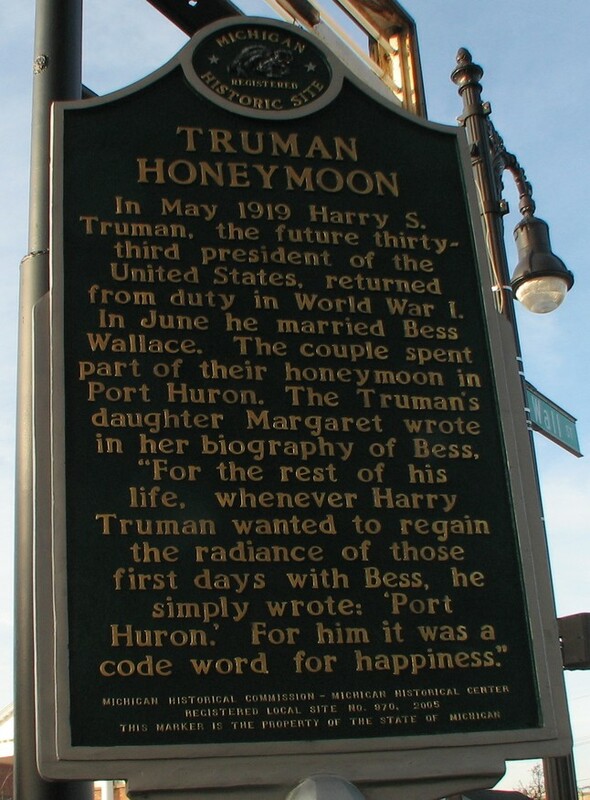 Harry Truman had a campaign whistle-stop event at the Port Huron train station during his successful 1948 campaign for election. Look at all the men wearing hats! At Bill-The-Hatter's place in downtown Port Huron (about where the Satellite Bar is in the previous photo), you could get your hat cleaned and blocked. There was a women's hat store next to the Desmond Theater. Some say it was the appearance of John F Kennedy campaigning without a hat that changed men's fashions. LEFT: The Port Huron Passenger Train Station. It was town down in the late 1970s or early 1980s. 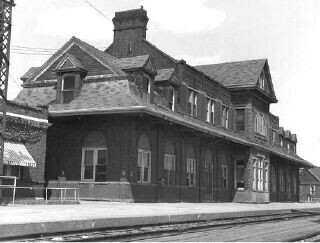 Passenger service to Chicago is still available from a small depot at 16th Street and Division Streets. 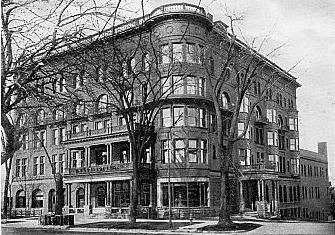 The Windermere was the first hotel was built on the site in the late 1800s. An Interurban train service from Detroit served the hotel. 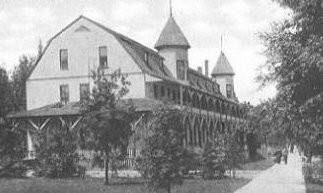 The hotel was destroyed in a fire sometime after 1908, later to be replaced by the Gratiot Inn. 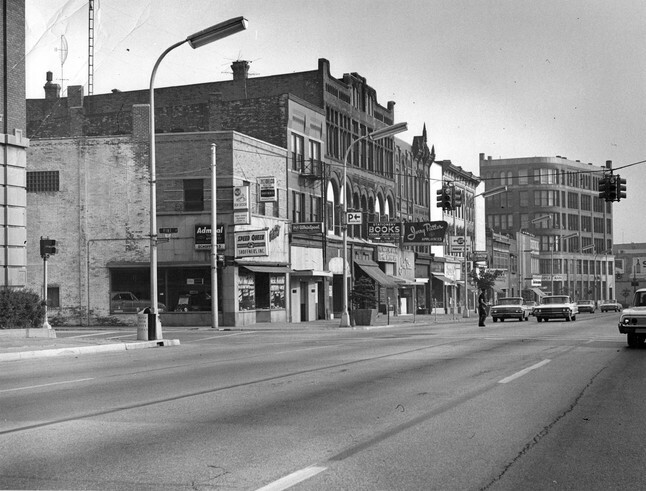 ABOVE: Gratiot Inn as it appeared in the 1950's. By the end of the 1950s, it wasn't so 'luxury' anymore -- but still good enough to host the Class of 1961 Senior Prom with dancing to the music of the Tommy Dorsey Band. 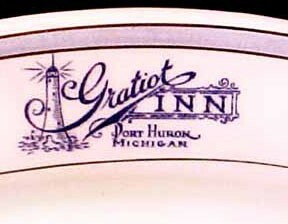 LEFT: Gratiot Inn post card from the 1930s. 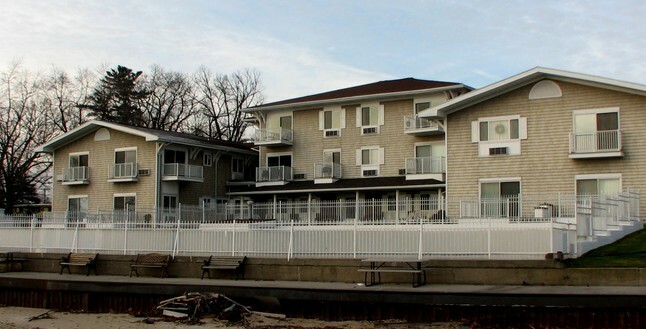 BELOW: The Gratiot Inn was converted to apartments then to condominiums in the 1960s. This photograph was taken in December, 2009. Do you have any photos taken before or at the Senior Prom? Please email phhs.1961@gmail.com.